It’s that time of the year again where we feature exceptional bloggers here at Ang Sarap, so every Fridays in the months of June, July and August you will get to know them as they will be sharing something about themselves and featuring some of their special recipes. These are exceptional bloggers so visit and follow their blogs, you would not be disappointed. First on the list is Alice from Sydney the blogger behind “Girl in a Food Frenzy“, a blog where I see food, photography and videography meets art. It is one of the sites that leaves a nostalgic feeling after visiting and reading the articles. Just look at the artwork below and you will see why. I’ve been following Raymund’s blog at Ang Sarap for just under a year now. Like you, I was immediately drawn in by his incredibly photography, the stories and unique multicultural aspect of his food and mostly because I just love feeding my tummy through my eyes! To summarise, I’m a Sydney based Theatre designer, food blogger, part time student chef, hobby film maker and full-time Instagram addict! My family background is Chinese and I’m first generation Australian. In fact, my family have run restaurants all my life and still do to this day so yes, food is definitely in my blood! This dish makes use of many of my favourite ingredients, with the aroma of caramelised apples…a savoury stuffing of pork and walnuts…and the bountiful scent of spices to titillate your senses. Apples & pork, cheese & apple, nutmeg & spices… there’s so many familiar combinations of deliciousness in this dish and yet, you just may not have sampled them together yet? This could be a side dish for that next festive occasion you have coming up? It might be the dish to accompany you under that snuggly blanket as you perch a dish of these warm apples on your lap and watch the rain outside? A small skillet or pan to bask the apples in and an apple corer. 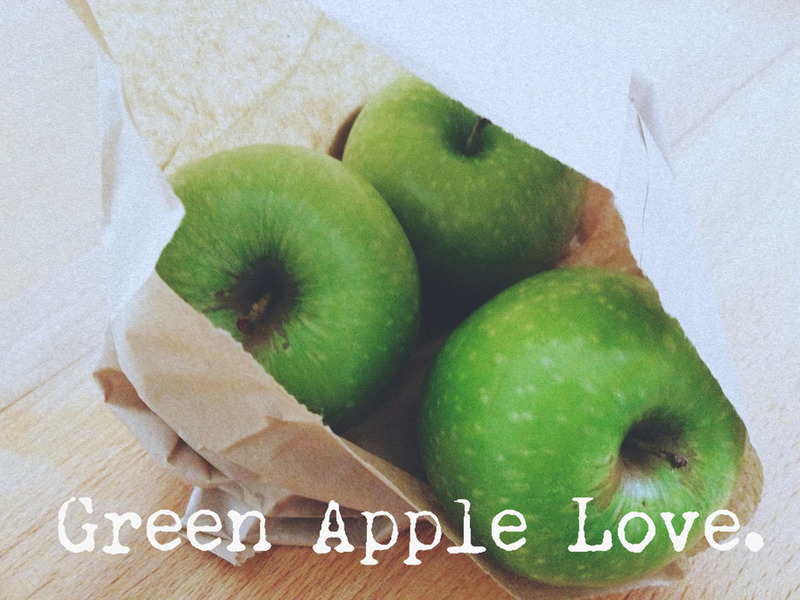 1-2 Apples per person, choose a firm eating variety like a Granny Smith. Pork mince 150g (vegan or vegetarian, you could use nut crumbs like walnuts or pecans perhaps. Allergic to nuts? A mix of brown & wild rice would work well too. Preheat the oven to 200C/392F. Make the savoury stuffing first. 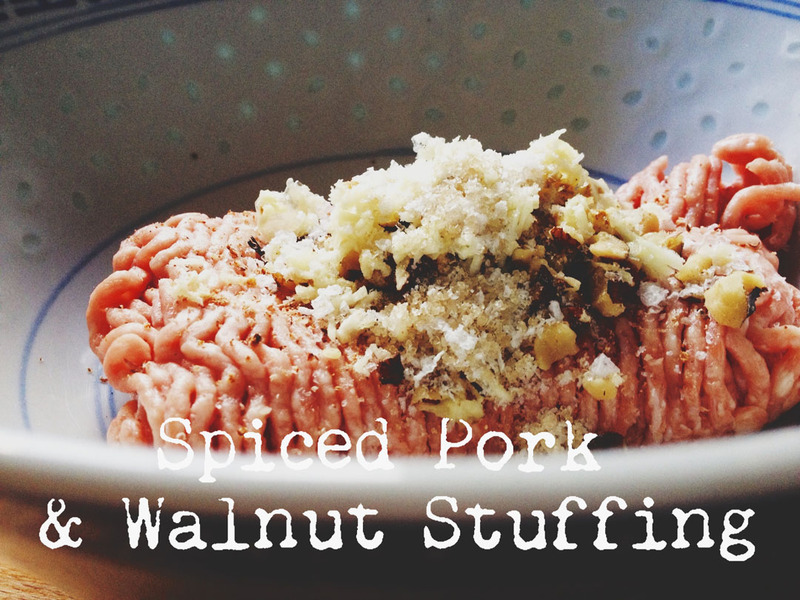 Combine the pork mince with the walnuts, nutmeg, & fennel seeds, along with the garlic, salt & pepper and grated parmesan. Mix until the stuffing comes together in a smooth ball. If, after 20 mins you want a little more colour, a minute or two under a hot grill should suffice. In a hot pan sauté with butter, salt & pepper (and whole garlic clove, if using.) When it begins to wilt, reduce heat, add the nutmeg & cream and cook until the mixture slightly thickens. 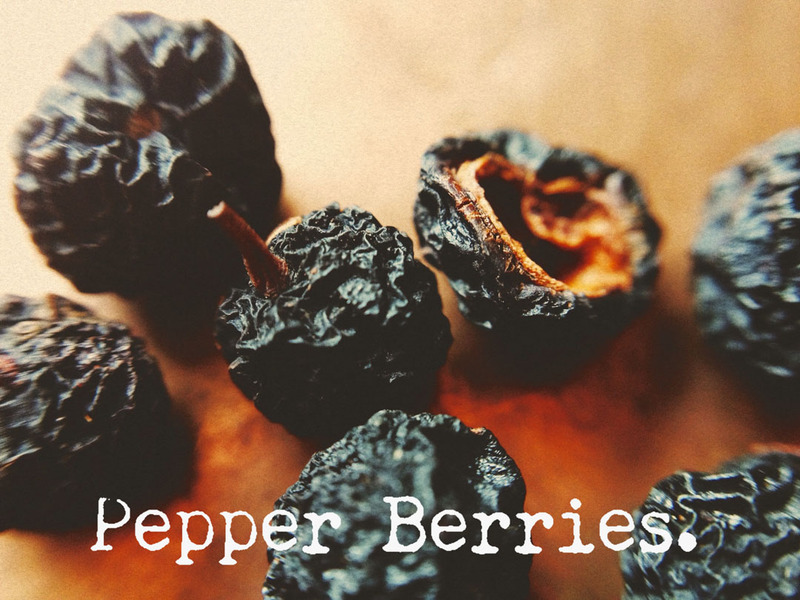 Serve alongside the baked apples and enjoy! So welcome and (we must) thank Raymund for making it all possible too! Wonderful, Alice! That’s (almost) enough to make me wish for fall. So welcome Michelle! Happy Cooking! Thanks Raymund, for introducing us to Alice ~ what a treat! Wow what a nice guest post, Raymund. Thank you for introducing us to Alice. Nice meeting you Alice. Likewise for me at first, but I just knew there had to be a way! LOVE Alice! I don’t think there’s any recipes of hers I haven’t loved! I love meeting new bloggers, Alice.. this is such a lovely dish, full of flavors that entice! Nutmeg, star anise, juniper berries.. I love the sound of these ingredients!! Thank you Barbara, I hope it’s a dish that will find its way to a table near you & soon! 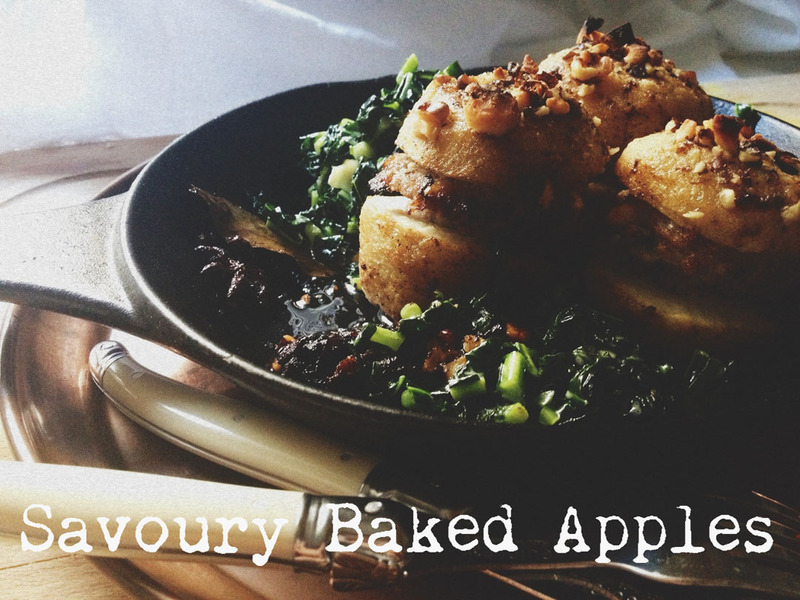 Wow, I never thought of doing a savoury apple dish before. This sounds so yummy – such a cool, unique twist of the traditional pork ‘n apples. Wow, pleased to meet you! Thanks, Raymund, for introducing me to another wonderful blog! And thanks, Alice, for a very original recipe! Can’t wait to try this! Alice, what a wonderful recipe!! Looks absolutely delicious!! And so happy to have now discovered Raymund’s blog. Raymund, One word: wow. I just spent 10 minutes checking out your Food Gawker gallery. oh. my. goodness. everything looks amazing!! Super recipe! Really nice guest post – thanks so much. What an interesting dish. I love the flavours used here. Will definitely try this recipe because I’m sure my family will love this! 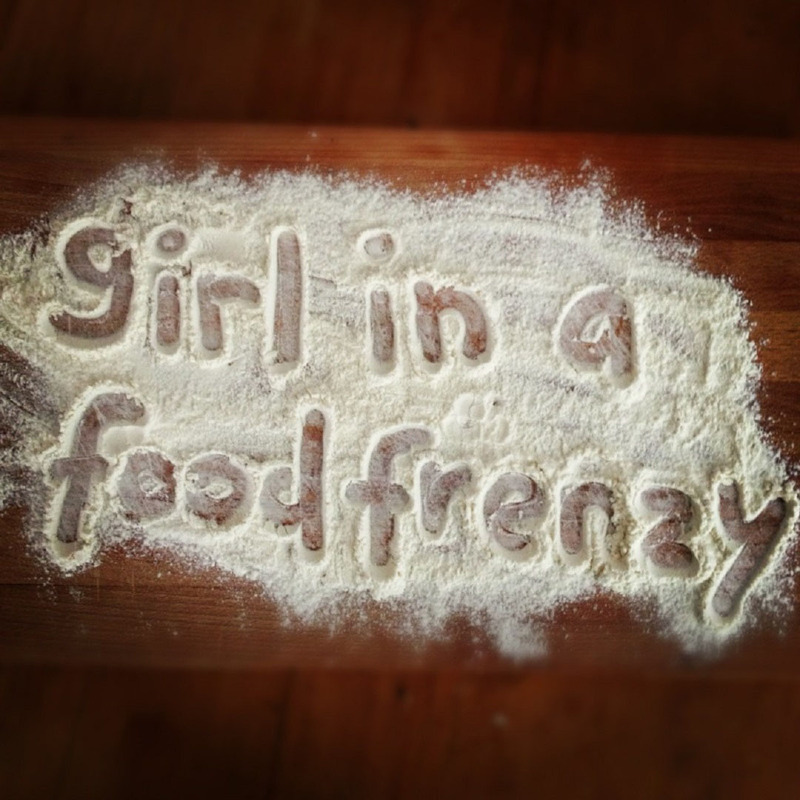 Thanks for featuring ‘Girl in a Food Frenzy’ for your guest post, Raymund! Truly ‘ang sarap’ ! What a incredibly creative dish! You use some of my favorite ingredients but I would never have thought to use them in one dish. This looks delicious! So very nice to meet you Alice and looking forward to checking out your blog. Headed over there. Oh, this is a great seasonal dish. 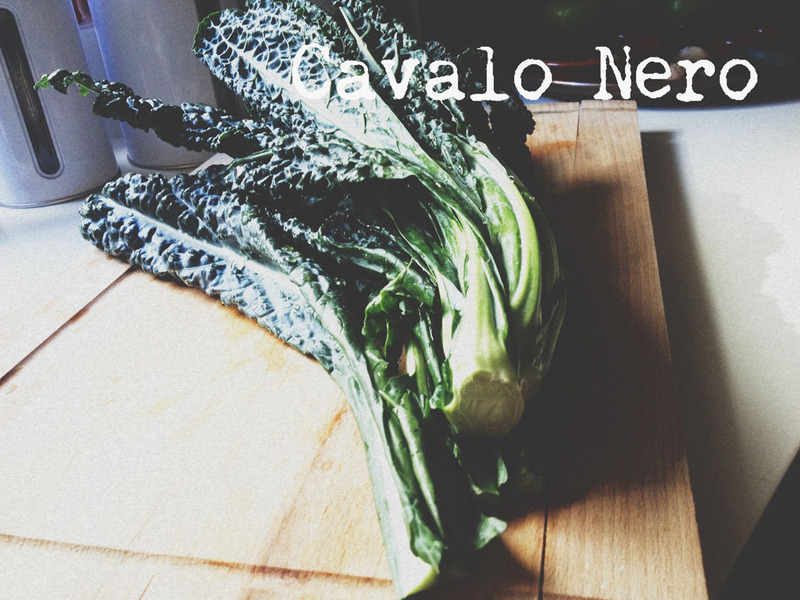 We’ve been getting lots of apples and cavolo nero this winter. Pork and apple are such a delicious pairing too. Amazing and really unique! Love the rice veggie option, sounds great!